In many ways, the story of artificial gems traces the story of glass technology itself. From ancient times, when glass could only be produced in very small quantities it was regarded and used as a type of stone that was made through art. Alchemists thought the bright colors produced by metallic pigments in glass were a key to the philosopher's stone, and the transmutation of base metals into gold. As the technical prowess of glassmakers expanded, so did the ability to simulate specific stones, most notably coveted gems. Glass went on to be used as material for utilitarian objects like goblets and as an indispensable part of scientific enquiry. All the while, artificial gems have continued to dazzle us with their beauty. 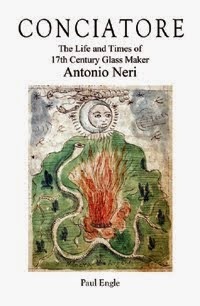 In the fifth part of Antonio Neri's 1612 book, he teaches the secrets of making artificial gems "of so much grace, and beauty, that they will surpass the natural stones in everything except hardness." It is not a difficult argument to make that this section alone is responsible for much of the lasting popularity of L'Arte Vetraria. It is easy to see why enterprising artisans would want to make glass imitations that could pass for the real thing. It is also perhaps too tempting to jump to the conclusion that Neri intended his recipes to be used in deception, since there is no evidence whatsoever that this was the case. Neri gives full credit for his innovative methods in paste gems to Dutch alchemist Isaac Hollandus. Hollandus is an enigmatic figure, whose writings survive, but not much is known of the man, his family, or even if he was living in Neri's time. What is known is that Antonio's dear friend Emmanuel Ximenes was the brother-in-law to Baron Simon Rodriguez d'Evora, a famous diamond dealer and jeweler of choice to royalty throughout Europe. He lived and worked on the same street in Antwerp as Ximenes' palace, only a few steps away from Neri's new temporary home. It was a common request of wealthy patrons to have duplicate jewelry made in paste for travel and security reasons. 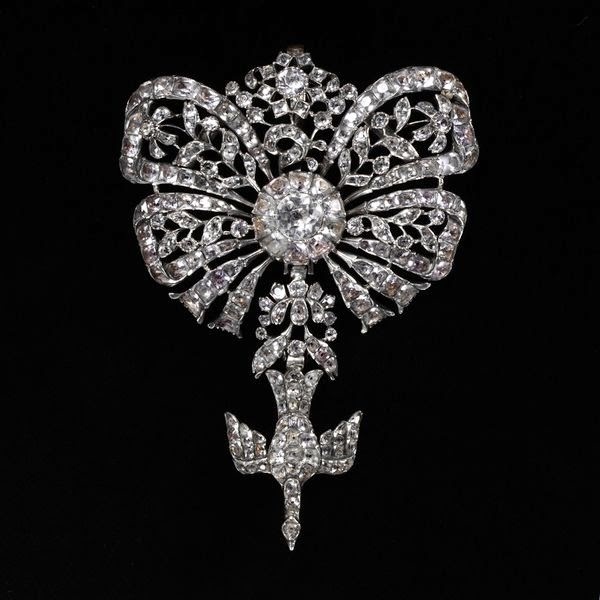 If a fake necklace or jewel could pass for the real thing, it was well worth the added expense, when the genuine article could remain safe under lock and key. No artificial gem recipes have ever been found among Hollandus' writings, excepting one for ruby which is then crushed up as part of a prescription for the philosopher's stone. It is quite possible that Neri was applying a more general technique from the Dutchman. The basic material for all of Neri's paste gems is a fine lead crystal. The crux of his innovation lay in the form of lead used. Normally, metallic lead sheet was cut into small pieces, and roasted in a kiln such that it would oxidize into powder, but not melt. The powder was then added to the glass melt. In Neri's method the lead was chemically converted into a water-soluble form, which could then be filtered and purified to a much greater extent. The end result was a far better grade of crystal. In 1697, Jean Haudicquer de Blancourt translated into French and greatly expanded Christopher Merrett's English edition of Neri. Blancourt gave no credit to the Italian for his work, and two years later, when it was translated back into English by Daniel Brown, the connection to Neri was completely lost, but the credit for paste gems remained with Hollandus. In the eighteenth and nineteenth centuries, numerous general encyclopedias of art and craft were published and the so-called 'Hollandus' paste gem recipes turned up many times. Meanwhile, a properly credited French version of L'Arte Vetraria was completed by Holbach in 1752. This edition was more suited to a scientific audience; he faithfully translated the Italian, but also incorporated the full comments of Merrett as well as those of Kunckel who issued his famous German version of Neri in 1679. *A shorter version of this post appeared here on 16 September 2003.